Technology has created the illusion that today’s worker feel “highly connected” to one another, when in reality most feel isolated from their colleagues. What they crave most–and what research increasingly shows to be the hallmark of the highest-performing workplace cultures–is a sense of authentic connection with others. In Dan’s research with 100’s of top young leaders they revealed that technology as a double-edge in that it helps improve operational efficiencies and keeps us constantly connected, but at the cost of human touch. Young leaders see technology as a way to push information out quickly and efficiently, yet as the same time it can make the workplace more dysfunctional. 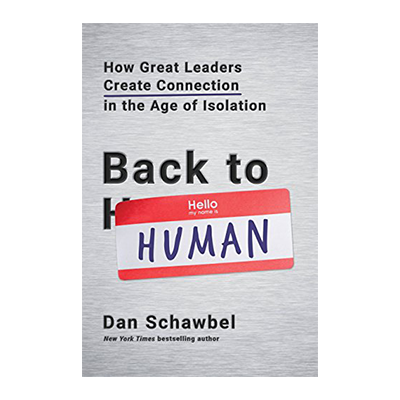 If you see your organization dealing with issues of isolation between workers, and this is affecting the engagement and productivity of your workforce then you are going to want to listen to this interview with author Dan Schawbel about his new book “Back to Human-How Great Leaders Create Connection in the Age of Isolation.” To learn more about Dan and his new book please click here to be directed to his website.